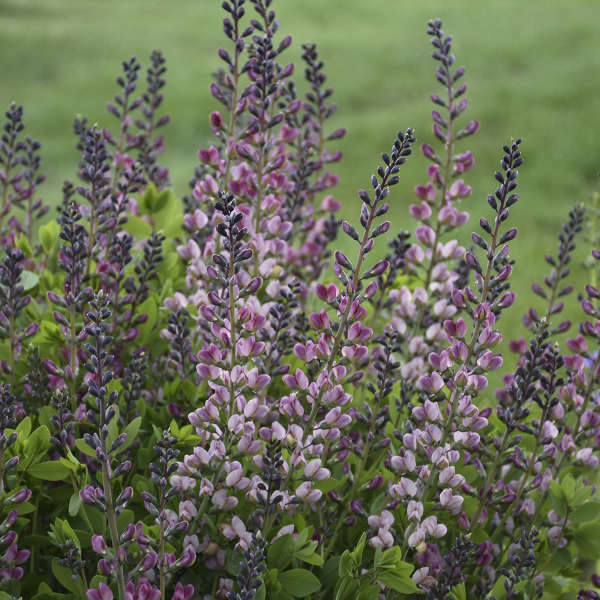 Baptisia 'Pink Truffles' PP26588 CPBRAF | Walters Gardens, Inc.
A novel new color in Baptisia! 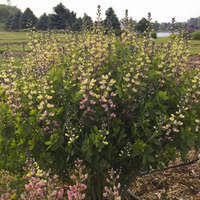 Clear soft pink blossoms with a pale yellow keel are produced in late spring, the perfect compliment to peonies, bleeding hearts, and other spring bloomers. 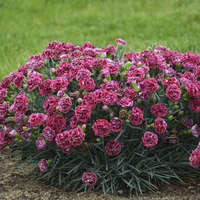 Its compact, shorter habit makes it easy to fit into any garden. Best planting option for 1 or 2 gallon pots. All summer required for finish. Vernalize as directed. Plant slightly deep with crown 1/2 inch below soil. Requires 100-150 ppm fertilizer for optimal growth. 8-10 weeks if planted from plugs during early summer. Leaf spots, powdery mildews (Erysiphe and Microshaera), rust (Puccinia), root rots. 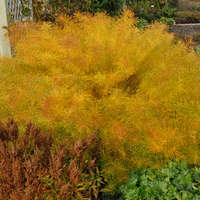 Generously graded bare root plants should bloom the first year. 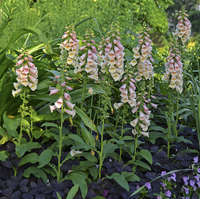 Plugs can be planted in late spring to early summer and sold the following spring. This option yields the greatest number of stems per pot. Forcing plants under cool temperatures will help control height and will intensify flower color but may increase crop time. 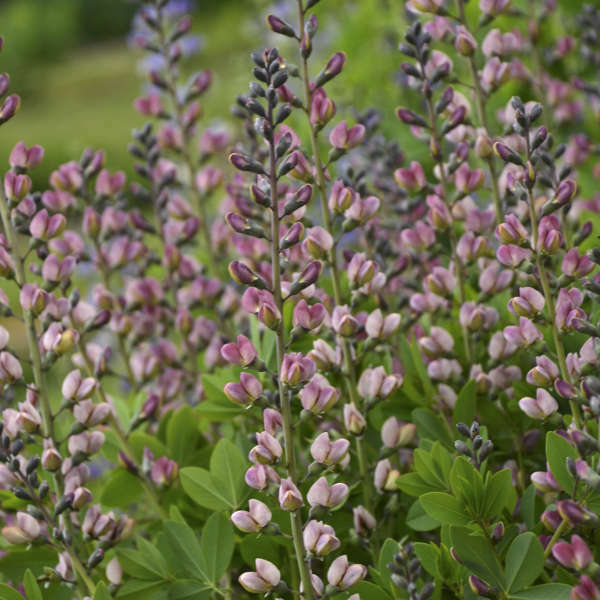 Baptisia will flower in 8-10 weeks at 50-60° F.
Water well after planting and increase watering as the foliage emerges. Dry to moderate moisture levels. Place crown just below soil surface. All eyes should be slightly covered. Drench with uniconazole at 1 ppm once plants reach 6 inches in height. Toning sprays at 5 ppm can be applied later if more control is needed. 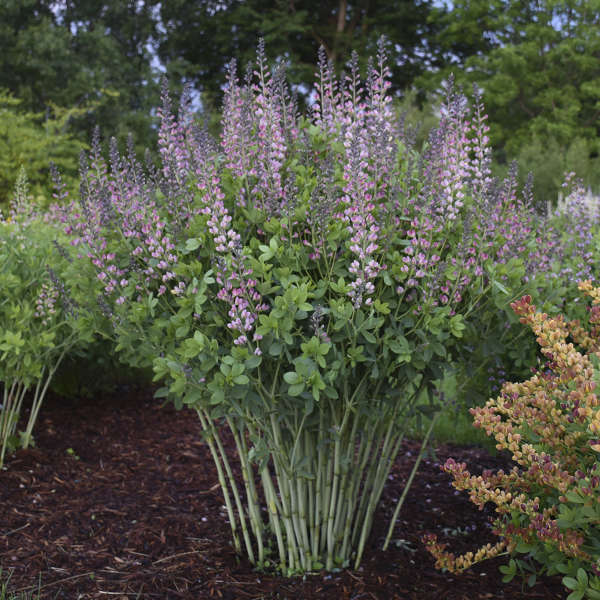 Best height control is growing Baptisia under cooler temperatures. Provide high light levels. Grow under clear poly or outdoors. 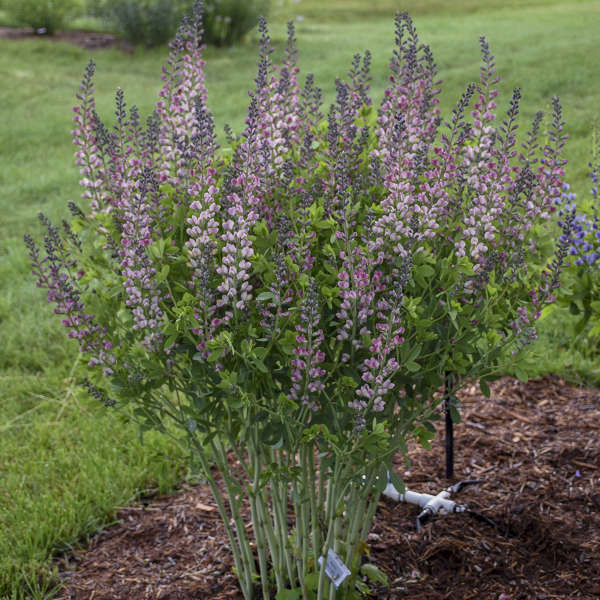 Do not pinch vernalized Baptisia before they flower. Pay attention to the planting depths of bare root and plugs. 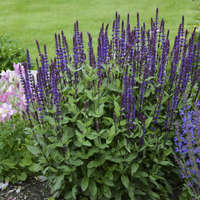 It is recommended to plant bare root in 2 gallon containers as these have the depth needed to support the plant. If a 1 gallon container is desired, roots can be trimmed to fit the container. 1 gallon containers will have a short shelf life due to the massive root system that develops.